In nearly 30 years of ministry to the unreached, AFMS and its sister organization AFM have been constantly developing and improving their model of effective cross-cultural church planting. 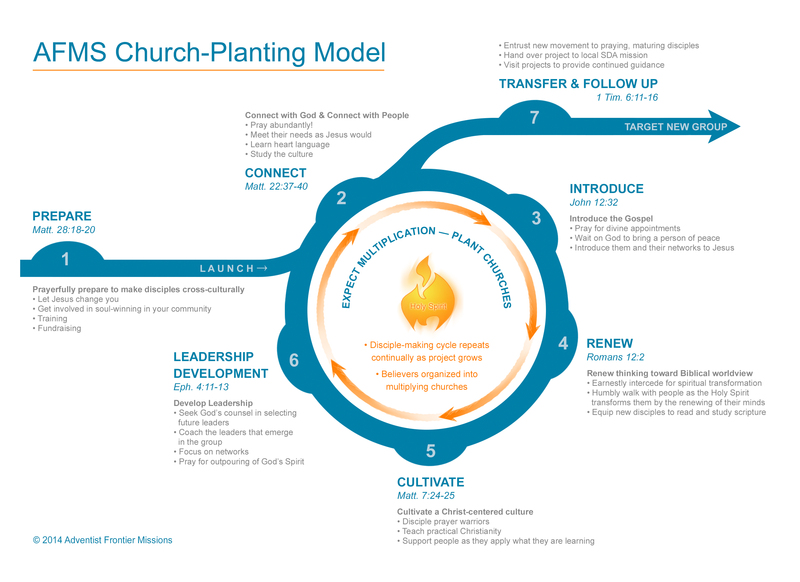 Recently, we developed a new refinement of our model to guide our missionaries through key phases of their ministry. 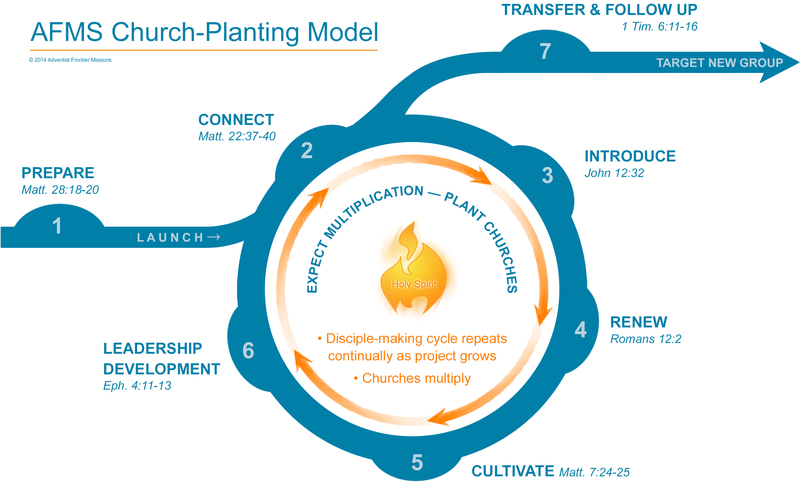 The new AFMS Church Planting Model is not intended to be linear. Several aspects contained in the main circle of ministry can be taking place at the same time.